MOSCOW, December 14. /TASS/. Russian President Vladimir Putin believes that Mikhail Saakashvili’s actions in Ukraine are a spit in the face of the Georgian and Ukrainian peoples. "I believe that what Saakashvili has been doing is a spit in the face of the Georgian and Ukrainian peoples," Putin said at his annual news conference on Thursday. "How can you put up with this?" "That man, who was the president of independent Georgian state, is now rushing about the squares there [in Kiev] and keeps yelling for the whole world to hear: ‘I am Ukrainian’. Aren’t there any real Ukrainians left in Ukraine anymore? And Ukraine tolerates all this. It makes one so sad to see all this. My heart is bleeding for you," Putin said. 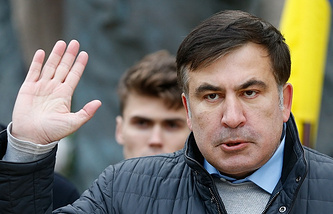 Georgia’s former president and former governor of Ukraine’s Odessa region, Mikhail Saakashvili, was earlier stripped of his Ukrainian citizenship that had been granted to him personally by President Pyotr Poroshenko. Although banned from entering Ukraine, in September he managed to cross the Ukrainian border from Poland. A crowd of supporters helped him make his way through Ukrainian border guards. On December 5, 2017, Saakashvili was detained by the Ukrainian security service SBU on the suspicion of cooperation with criminal groups and of staging rallies reportedly financed from abroad. Several hours later he was freed by supporters and taken to a tent camp near the Ukrainian parliament (Verkhovna Rada). On December 8, he was arrested again and brought to a detention prison in Kiev. Saakashvili is accused of "assistance to members of a criminal organization." He dismissed all charges as politically motivated and went on an open-ended hunger-strike. 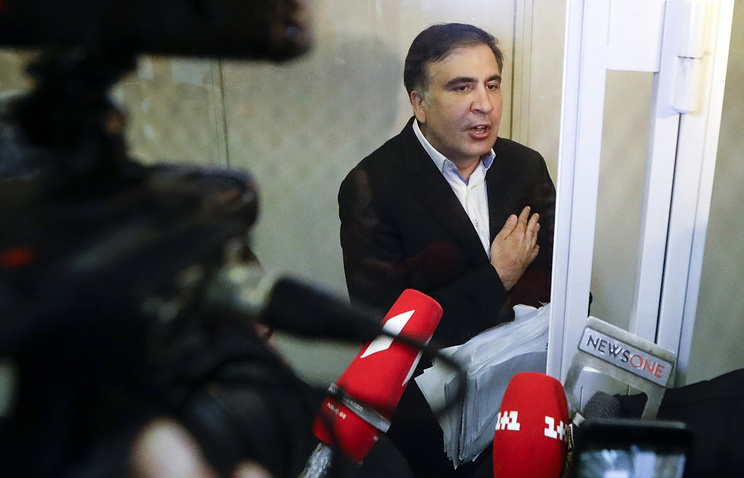 A court in Kiev on December 11 turned down the prosecutor’s motion and refused to put Saakashvili under house arrest.